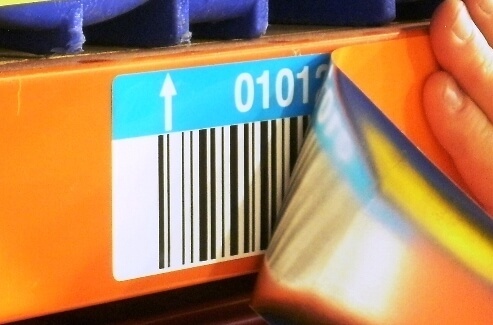 Easily Relabel Warehouse Racks with Beam Renew™ | ID Label Inc.
Beam Renew™ is ID Label’s popular warehouse rack cover-up solution. Its durable construction and advanced adhesives allow for seamless application over old warehouse beams and barcode labels without the time and expense of cleaning, scraping or painting. Beam Renew also features an easy-release top coating that makes it a breeze to apply, remove and relabel warehouse beams. “You can use Beam Renew on all your warehouse racks, bins and shelves to operate more efficiently and keep your warehouse workers focused on productive operations, not label removal,” Aitken said.